Overview Nothing speaks of class like an elegant, cool climate Chardonnay. Gone are the days of over oaked wines that have been malo’d to within an inch of their lives. There is still the occasional punter that cries out for a buttery, oaky Chardonnay but slowly but surely winemakers are moving away from this style as it does not represent Chardonnay as much as it does new oak and malolactic fermentation. Geelong is quick becoming the next best thing in terms of Chardonnay and Shadowfax have always been on the ball in using fruit from great Victorian regions and making damn good wine. This wine is Chardonnay through and through, the oak is subtle and fruit elegant and structured. Tasting note: Grapefruit aromas with a flinty edge and just a touch of toasty oak. The stone fruit on the palate is rich yet elegant, steely with a zippy citrus backbone and finishes with a lovely texture. Final Say: Definitely a food wine. $25-$30 a bottle. Overview: Like most young wine region the Hilltops has proclaimed themselves as one of the most exciting Viticultural regions in Australia. We seem to have a lot of those. Eventually all this wine-wanker terms we use become cliché, marketing terms that cause or eyes to glaze over. Most wine drinkers in Australia wouldn’t even know where to point to on a map of NSW when asked where the Hilltops region is. So I proclaim that the Hilltops is not ‘one of the most exciting Viticultural regions in Australia’ but ‘the most exhilarating, stimulating and intoxicating (in more way than one) regions in Australia’. The Hilltops typically produce lean, cool-climate style reds but this Cabernet displays a power and depth of flavour expected from warmer climes with notes of cool-climate elegance with a modest alcohol level of 13%. Surely this is more than just ‘exciting’, surely this tantalises and titillates. Tasting note: Dark plum aromas with notes of cassis, menthol and underlying hints of pencil shavings. The palate is a fantastic balance between rich fruit flavours and subtle elegance with mocha, blackcurrant and black olive notes. Grainy tannins corrugate the tongue and allows this wine linger for minutes on end. Final Say: Such adjectives. Much description. Wow. $25-30 a bottle. Overview: Summer is here. Forget the other side of the world, and their complaints of polar vortexes, for we are in God’s own oven, roasting, frying and begging for relief. Wine slakes our thirst but now is not when we crave the oak and body of a Chardonnay, nor even the racy acidity of Riesling or Semillon. What we crave is tropical and balanced, refreshing yet flavoursome. Our saviour comes in the form of Chapel Hill’s il Vescovo White, an innovative blend of Verdelho, Savagnin and Rousanne. These varieties are very different in origin yet, here in this blend, they complement each other to make an impressive summer wine. 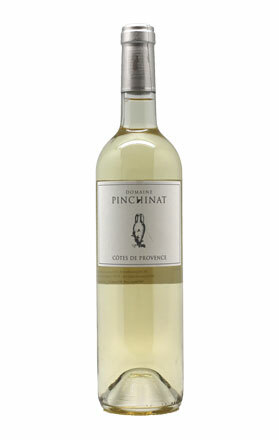 Tasting note: Pineapple aromas leap from the glass, followed by elegant tones of lemon, talc and jasmine. The lemon character on the palate is slightly waxy and rind-like. It’s crisp and fresh too with lovely texture and acidity. Final Say: When not throwing it down to combat the heat, this wine is best enjoyed with food. $15.99 a bottle. Tasting note: The nose is a delicate combination of straw, candied pineapple and crushed herbs. The palate is surprisingly robust compared to the nose, with flavours of apricot and sandalwood, and a lemon pith mouthfeel. A touch of oiliness on the finish completes this wine. Final Say: A fantastic white blend that makes me wish I was at a quiet beach, just me and this bottle. $27.99 a bottle. Tasting note: It’s been a while since I’ve seen a Shiraz as quintessentially Hunter Valley as this one. A dusty and leathery nose with subtle hints of blackberry and spicy oak. Nice aged plum and spice characters on the palate with just a bit of game. Final Say: A good example of the Hunter Valley of old. $19.99 a bottle. Tasting note: All you would expect from the union of Cabernet Sauvignon and Merlot: blackcurrant, plum, black olives and chocolate with a velvety mouth-feel and a soft, pleasant finish. Tasting note: Dark and brooding, one sniff and this wine is undeniably Coonawarra Cabernet. Menthol, black cherries and cassis with slight hints of raspberry and grainy tannins. Powerful, rich and ripe. Final Say: A steal for the price, perfect as a cellar-dweller. $16.99 a bottle.